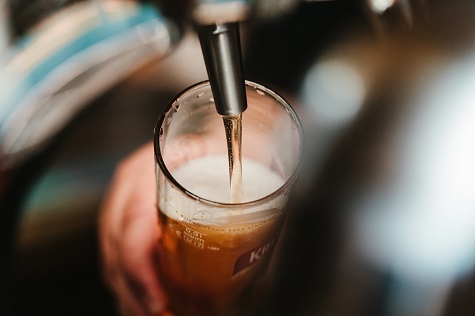 You should never need an excuse to drink craft beer, but if you do… FeBREWary is the perfect reason to indulge in all of your favorite local craft brews! In Ocean City, along the Eastern Shore, and even throughout the state of Maryland, Ale Houses, breweries, and pubs are showing their appreciation for the local beers all month long through the Shore Craft Beer Fest. To really kick off this month devoted to beer, head to Salisbury University for the Bury Beer Fest! The kickoff event will be held in the SU Art Gallery Downtown, featuring unlimited tastings from over a dozen breweries and delicious food! Presale tickets are $25, or $40 at the door. Of course, while FeBREWary is a huge part of the month, so is Valentine’s Day! If you’re in town for Valentine’s Day weekend, be sure to stop by Burley Oak Brewery for their “unvALEntine’s can release!” Enjoy their newest flavor release with food pairings from local restaurants, local artisans, vendor displays, and live music from Pasadena's Joey Harkum! Of course the biggest event of craft beer lover’s month and the Shore Craft Beer Fest is Seacret’s Love On Tap on February 23! Listen to live music from your favorite local Ocean City bands like Full Circle Duo and Bret Andrews & Company at the event, and taste over 25 craft beer samples from nearby breweries. Tickets are $35 a person. VIP tickets are available for only $50. The VIP ticket will get you into the event an hour early, and you’ll go home with an event t-shirt! Everyone will leave with a commemorative Love On Tap pint glass. 2019’s FeBREWary will feature 3rd Wave Brewery, Backshore Brewery, Big Oyster Brewery, Blue Earl Brewing, Dogfish Head Brewery, Cult Classic Brewery, Evolution Craft Brewing Co, Fin City Brewing, Mispillion River Brewing, Tall Tales Brewery, Fordham & Dominion, and RavenBeer.